Find out why the events sector in the UK is perfect for entrepreneurs. The events sector in the UK is an economic powerhouse, with spending at events being pumped back into British-based companies that are providing event-based goods and services. Owning a events business is a great opportunity for entrepreneurs who are both creative and practical, as although there is a lot of planning and organising involved, there is also a chance to create a unique experience for your clients and event attendees. There is a constant stream of emerging trends in the events world, with technology developments advancing the way we connect and network at events. The UK’s outdoor events sector has also seen huge growth recently, with an average annual increase of more than 1.64 million adults attending outdoor events in the UK. The environment, music, food and even the use of unnecessary plastic are set to change and evolve to provide a unique, fresh and different event experience. To break into the industry, you should have first-hand experience in working on events and ideally, organising your own event. Gaining work experience within an events company is beneficial and attending a course to gain some extra credentials before you commit to buying a business can offer some very valuable insights into the industry. Gaining experience will also help you to discover what type of events you prefer running; organising a business conference is very different to being a wedding planner, although you will need similar skills, you are dealing with a completely different type of client and event. Knowing the right people and maintaining good relationships is essential. Networking and socialising should be skills that come second nature to you and you should also be social media savvy, to keep in touch with your contacts and to always be meeting new suppliers, venues or potential clients. As an events planner, you will need to be organised to a tee, enjoy making lists and planning all aspects of an event. You should thrive under pressure and be able to handle stressful situations with ease; arranging an event and bringing different services together is no mean feat, you may need to consider hiring a team if you’re struggling to manage the workflow by yourself. If you’re hiring and managing a team, you need to be able to delegate responsibilities efficiently and know how to utilise employees’ strengths within your business. Trying to spread yourself too thin and take care of everything yourself isn’t feasible in the long run, you’ll burn yourself out and your events will suffer because of it. Communication and negotiating are also key skills within the industry; as an event organiser, you will be talking to a variety of people, from the clients to brand sponsors, so you need to convey information regularly, confidently, clearly and concisely. You need to be a good listener too as this will help you understand exactly what your client wants and what their vision is. No matter how well-organised an event may be, you are bound to come across unforeseen challenges; a successful event planner should be able to think on their feet and stay calm in these situations. Successful event planners also have a good eye for detail, as it’s often the little extras that make an event unique. 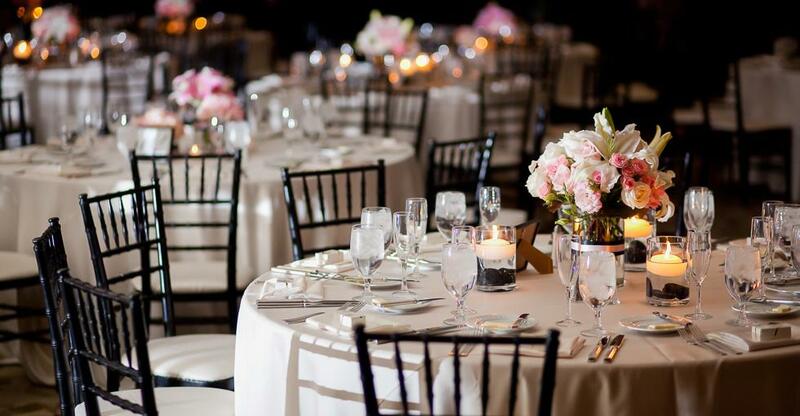 There are a number of different event-based businesses you can find on the market, from catering companies to wedding venues, each type of business proposition will have a specific checklist of what to look out for. operational costs are, and inspect the building to see if it needs renovation work. Also consider the reputation of the business, not only within the area but also in the events industry itself; if a business has a bad name then it’s likely other companies may not be willing to work with them. You should calculate the costs involved in remarketing and rebranding a failing business and factor in these expenses before you make an offer. You must review the accounts from the last three years of any business for sale and establish whether you will be taking over any repeat contracts. It is also a good idea to shadow the business owner for a few weeks to establish how the employees work together and what aspects of the business need improving.